Do you love middle-grade literature but everyone around you is reading adult? Have you tried starting book clubs and become frustrated when nobody else reads the book? Do you want to do a book club with your children/students/library patrons but feel overwhelmed with planning it all? Are you having trouble keeping up with new releases and authors? Do you feel stuck in a reading rut? Then the MG at Heart Book Club is for you! We are a group of authors who love reading and writing middle grade literature. We decided in June of 2017 to start an online book club all about MG lit in all its forms, as a resource for parents, librarians, teachers, writers, and everyone who loves the heart and hope of books for this age group. We pick a great MG read every month and send out a newsletter the second-to-last Monday of the month. Each newsletter has discussion questions, extension activities, a recipe, and author interview! Then, on the last Tuesday of the next month at 8:00 pm EST, we have a Twitter book club discussion at the hashtag #mgbookclub. This way, not only can you get the benefits of being part of a dependable book club with thought-provoking discussion, but you can also use the ideas in our newsletter to start a book club with the middle graders in your life. We’ve also teamed up with MG Book Village to provide even more great content throughout the month! At the beginning of each month, the MG Book Village has a post announcing the book club pick. Mid-month, we have a “check-in” with some fun questions, a book-themed quiz readers can take, or a “Writer’s Toolbox” where we analyze something done really well by the author and talk about why it works and what we can learn from it. Then at the end of the month, we post a review. We promise high-quality content for parents, librarians, and teachers because between the group of us, we are also parents and teachers! (No librarians, but we’re hoping you won’t hold that against us.) We also really try to keep our book club picks diverse in several ways: diverse protagonists, authors, and formats, with a focus on recent books, often from debut authors. It’s really easy to jump in. Just follow these simple directions! Sign up for the MG at Heart newsletter here. Follow us on Twitter and Instagram @mgatheart so you can get reminders and updates. 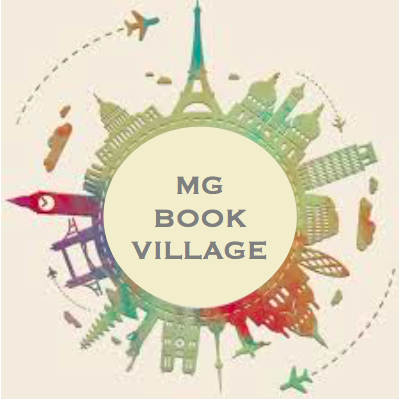 Keep up with our posts here at the MG Book Village for announcements, check-ins, quizzes, writer’s toolbox posts, and reviews. Join in the Twitter discussions at #mgbookclub. Can’t wait to share and enjoy wonderful MG books with you! Check out the current and past books we’ve selected to get a sense of the kinds of great reads we feature and to see what’s coming up! Julie Artz writes stories for children that feature the natural world, folklore, mythology, history, and all that is magical about those things. In addition to contributing to Middle Grade @ Heart, she works as a developmental editor for Author Accelerator, and contributes regularly to From the Mixed-Up Files of Middle-Grade Authors and The Winged Pen. You can find her on Twitter (@julieartz), Instagram (@julieartz), and Facebook. Cindy Baldwin is a fiction writer, essayist, and poet. She grew up in North Carolina and still misses the sweet watermelons and warm accents on a daily basis. As a middle schooler, she kept a book under her bathroom sink to read over and over while fixing her hair or brushing her teeth, and she dreams of writing the kind of books readers can’t bear to be without. She lives in Portland, Oregon with her husband and daughter, surrounded by tall trees and wild blackberries. Her debut novel, WHERE THE WATERMELONS GROW, is forthcoming from HarperCollins Children’s Books in 2018. You can find her on Twitter (@beingcindy), Instagram (@cindybaldwinbooks), and at http://www.cindybaldwinbooks.com. Karen S. Chow started writing novels when she was a college sophomore, while earning a degree in Electrical Engineering at Arizona State University. Now, she is an engineer by day and middle-grade novelist by night. She lives in Gilbert, AZ, with her husband and three children. Karen is represented by Andrea Cascardi of Transatlantic Agency. You can find her on Twitter (@KChowrites) and at http://www.karenschow.com. Reese is a middle grade fantasy writer and a school social worker from Chicago. She loves coffee, comics, and cream cheese frosting. She has a dog named Johnny Dogs and is one of those strange people who usually thinks that the movie was as good as the book. Reese is represented by Danielle Burby at Nelson Literary Agency. You can find her on Twitter (@reese_e_) and Instagram (@reesespieces21). Remy Lai writes and draws stories for kids. When not at her desk, she can be found exploring the woods near her home in Brisbane, Australia, with her two dogs. One of her dogs likes to roll in poop. The other one likes to be a copycat. Remy’s middle-grade novel PIE IN THE SKY releases from Henry Holt/Macmillan in Spring 2019. You can find her on Twitter (@Remy_Lai), Instagram (@rrremylai), and at http://www.remylai.com. A bookworm since the moment she learned to read, while all the other kids wanted to be zookeepers and astronauts Ashley dreamed of being a writer. (Okay, so she had her days of wanting to be a zookeeper/veterinarian/any job involving animals, but books were always her best friends.) When she’s not engrossed in the world of her next story, you’ll find her drinking copious amounts of tea and hanging out with her husband, two kids, and their two aggressively affectionate cats. You can find her on Twitter (@papergram) and on Instagram (@papergram). Laurie Morrison taught middle school English for ten years and is the author of two forthcoming middle grade novels. She co-wrote her first book, EVERY SHINY THING, with her friend Cordelia Jensen, and it will come out from Abrams/Amulet Books on April 17, 2018. Her solo debut, UP FOR AIR, is due out from Amulet Books in Spring 2019. Laurie has an MFA in Writing for Children and Young Adults from Vermont College of Fine Arts, and she lives with her family in Philadelphia, where she spends as much time as she can outside, reads voraciously, and eats lots of pizza. You can find her on Twitter (@LaurieLMorrison), Instagram (@laurielmorrison), and at http://www.lauriemorrisonwrites.com. Amanda Rawson Hill grew up in Wyoming with a library right out her back gate. She attended Brigham Young University where she earned her BA in Chemistry. She now resides in central California with her husband, three children, a bulldog named after Moaning Myrtle, and a cat (Luna Lovegood) who is still mad about the acquisition of the dog. Her debut novel, THE THREE RULES OF EVERYDAY MAGIC, releases from Boyds Mills Press in the fall of 2018. You can find her on Twitter (@amandarhill32), Instagram (@amandahillauthor), and at http://www.amandarawsonhill.com. Kit Rosewater is a middle grade and chapter book writer. She has a masters degree in Children’s Literature, and has taught theatre, English, and creative writing to middle school students, high school students, and adults. When she isn’t behind her laptop clacking away, Kit can be found at her bookselling job recommending titles to customers and friends. She currently resides in Austin, TX. Kit is represented by Lauren Spieller of TriadaUS.